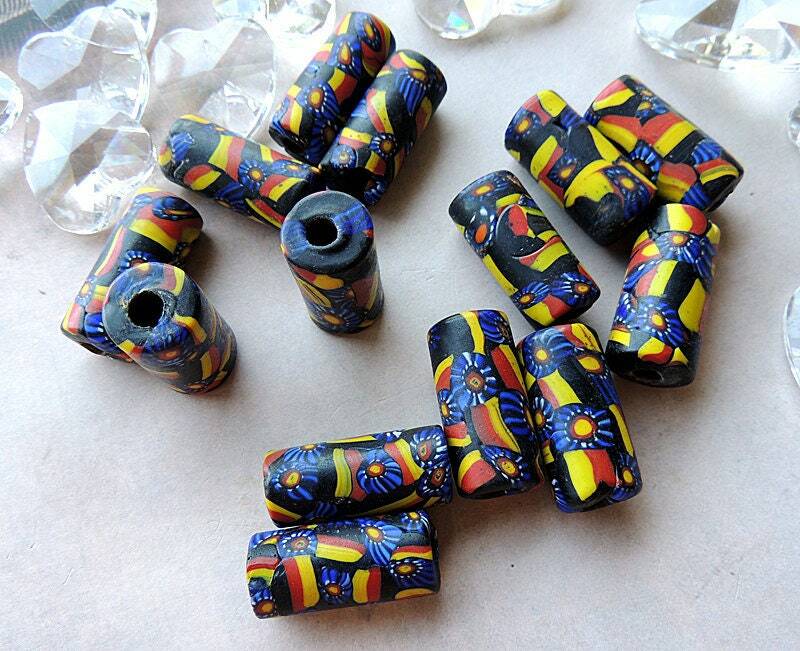 Very Unique, Large hole handcrafted & layered CANE BEADS. Vintage Stock. Price is for 2 beads. 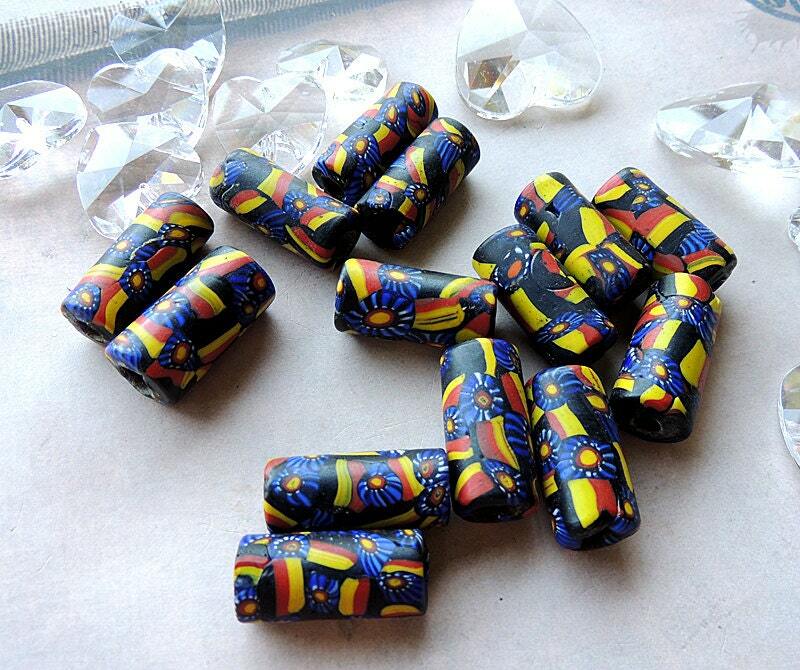 This is a VINTAGE bead component for the discerning jewelry designer, craftsmen or artisan. Handmade.